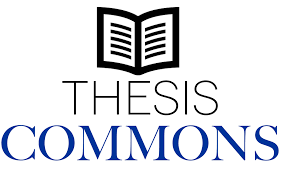 The Center for Open Science (COS) launched ‘Thesis Commons‘, a free, cloud-based platform for the submission, dissemination, and discovery of graduate and undergraduate theses and dissertations. It is built on an open-source infrastructure called the Open Science Framework (OSF) by which the authors can share their electronic theses and dissertations (ETDs) easily and quickly. The COS also launched various co-branded preprints repositories of them is ‘AgriXiv‘, a preprints repository for agriculture and allied sciences which is administered by the Open Access India community. Thesis Commons has a steering committee of experts and advocates for open scholarship representing institution, library, and researcher stakeholder communities and is backed by COS’s preservation fund, which ensures that all data stored on its services would be preserved and accessible for 50+ years in the event of COS curtailing or closing its services.